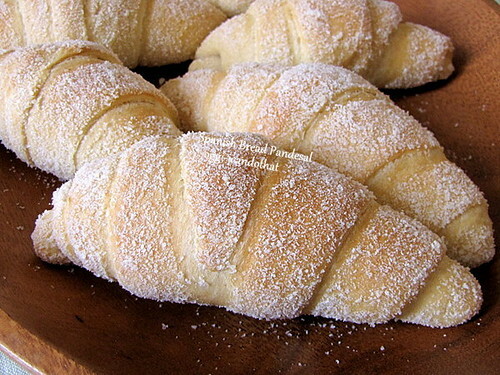 Food Friday: Pan de Sal Crescent Rolls ~ I Can Do That! Abby, they are so yummy! Maiylah, with hot chocolate, yum yum. They look so good. I have been meaning to make spanish rolls. Joy, I made the other half of the dough into plain rectangular shapes. They were filled with cheese. They're also good. Hi Ms. Oggi, can you please share the recipe, pls. The Baliwag-style pandesal recipe is here. Roll pieces into crescent shape (filled or plain).